We are getting down to bare bones. Blank walls, empty closets. And I am starting to see realize that we are getting rid of the weird and bizarre and strange. Don't get me wrong, we'll still have plenty of character and am imperfect house but mucho of the really bizarre will be gone. And believe it or not, I am getting slightly nostalgic. 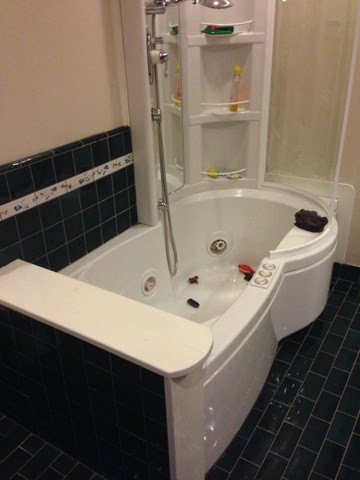 But I have to start somewhere, so here it goes. 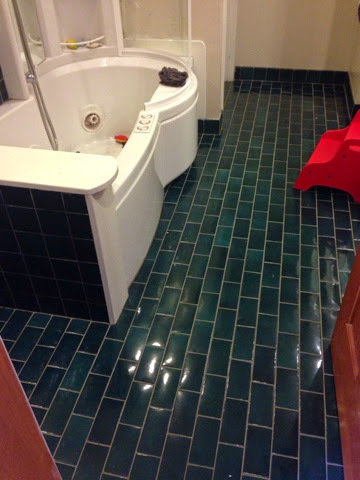 Goodbye to the green tile countertop, green subway tile floor and space age bathtub. 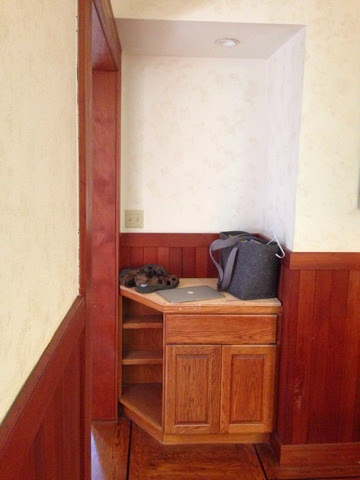 Goodbye to the strange nook in the dining room that used to have a sink. 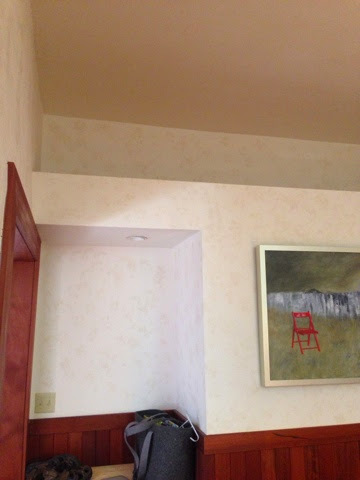 Goodbye to the bizarre space above the nook whose purpose we have yet to understand. 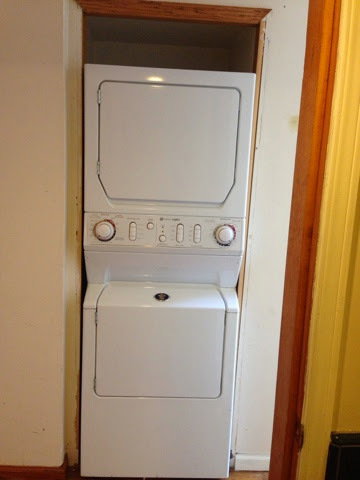 Goodbye to the laundry in the hallway closet. 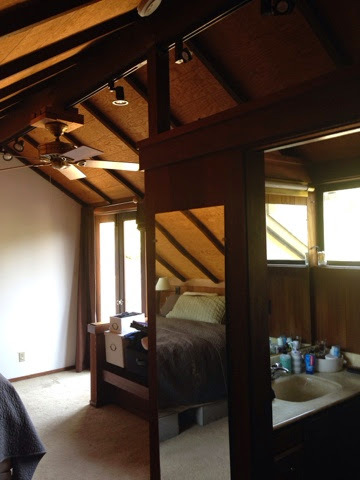 Goodbye to the open walls that insure to privacy anywhere. 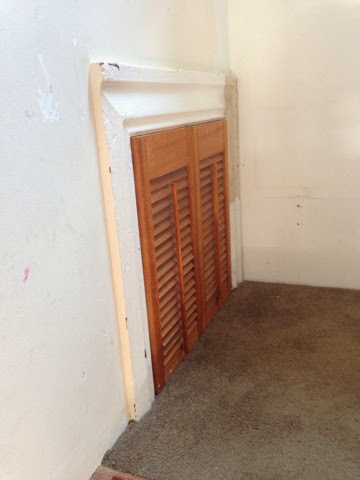 Goodbye to the pink carpet and patch of tile and our vintage wood burning fireplace. 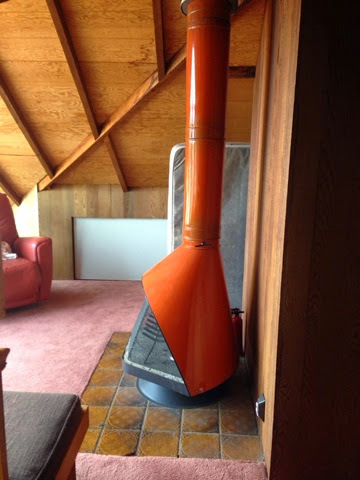 (Ok, the fireplace is the farthest thing from weird, in fact it is downright amazing, but I can't put it anywhere legally because it is not EPA compatible and it would rust immediately if I put it out on our deck.) So it's goodbye. 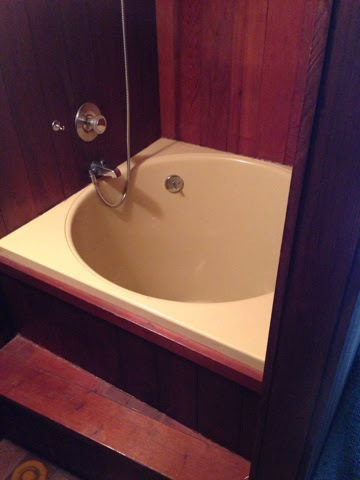 Goodbye to the chartreuse Japanese soaking tub. 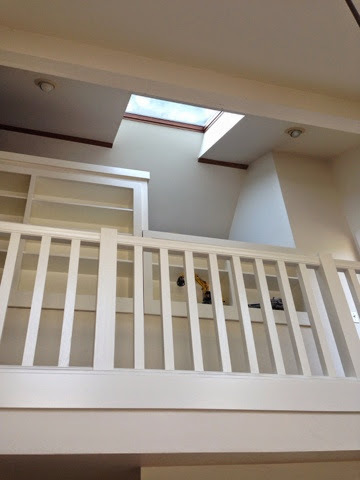 Goodbye to the stair landings that were built on top of windows. 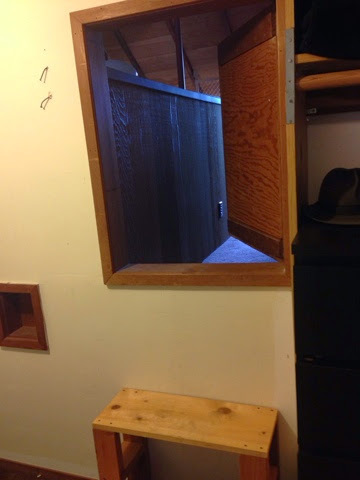 Goodbye to the escape hatch that connects the two upstairs rooms. 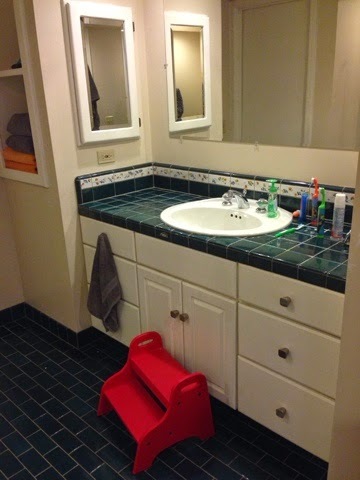 Goodbye to the bathrooms whose ceilings open up into the rooms in which they are located. 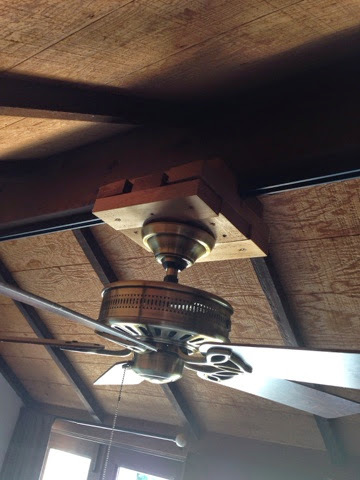 Goodbye to hacked construction like how this ceiling fan was mounted to the ceiling.